Spring is the perfect time of year for senior pictures (though they are always fun no matter whether it’s the spring or the fall, cloudy or sunny.) 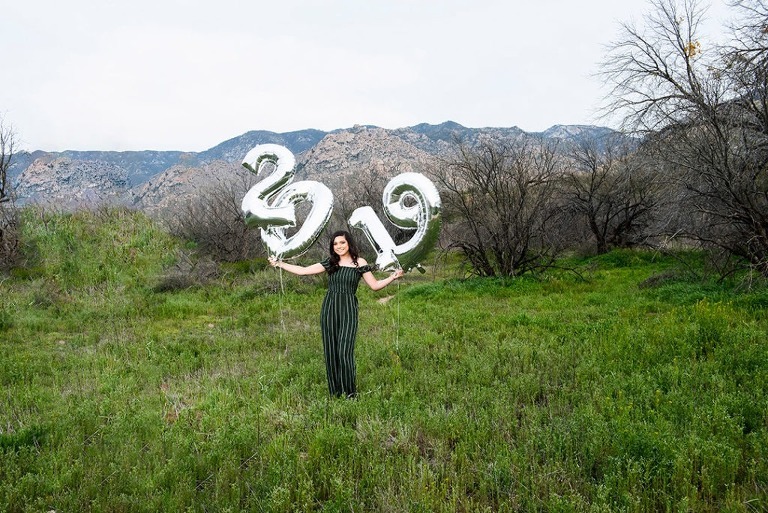 Karissa’s spring senior pictures were extra special for several reasons, including the really cool 2019 balloons (which were a lot harder to get straight then you could possibly imagine, even with no wind! ), the fact that Karissa incorporated her dog Emmy into the session (and she was soooo cute with her neck scarf that matched Karissa’s blue shirt), and last that we had some amazing flowers blooming in the desert and could build those into the session, perfect pinks and oranges that mirrored the colors of the sunset. 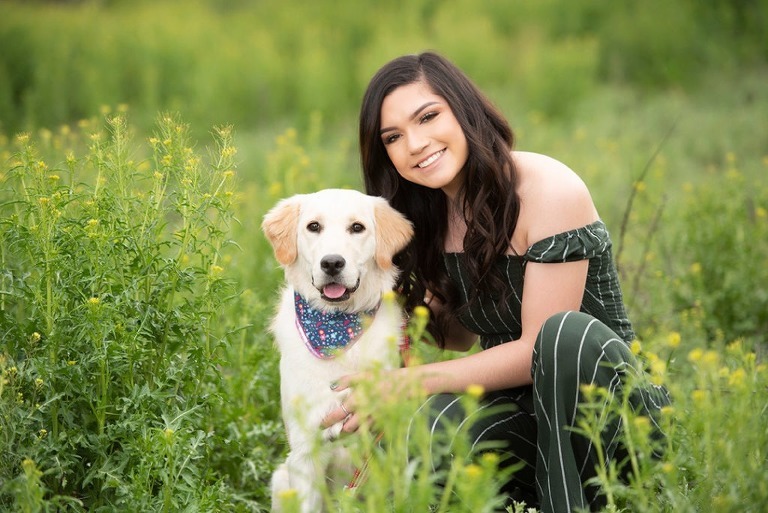 Senior pictures can pull out all the stops – I encourage seniors to bring all and any personal touches – from instruments, to pets, to sports, to just being all about fashionable clothes. if you are one of my high school seniors I always have a conversation with you about all these personal touches, but also about location – location matters! What feels most special to you? Where are your memories? What do you want to make your background? 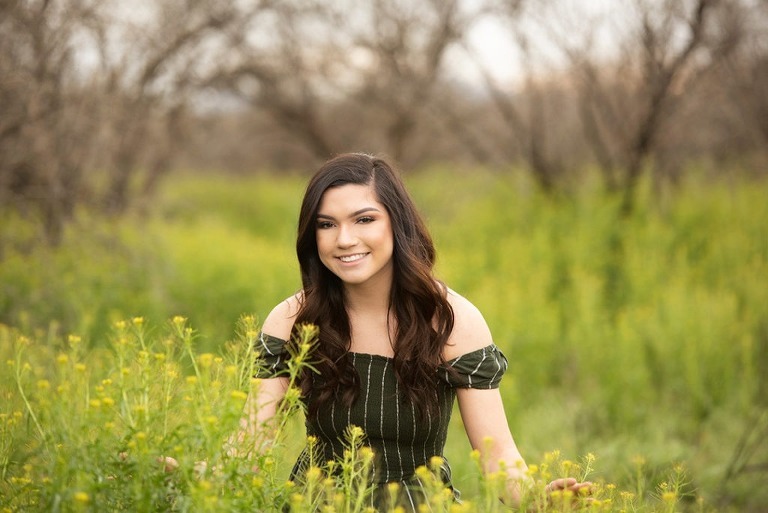 Karissa really wanted flowers in her spring senior pictures, and while the desert wasn’t quite in full bloom yet, but we were able to find some flowers along the side of the road and position her in a a few bare patches where she could sit without crushing the wild blooms. I was so happy with these spring senior pictures and I know she loved them, too! 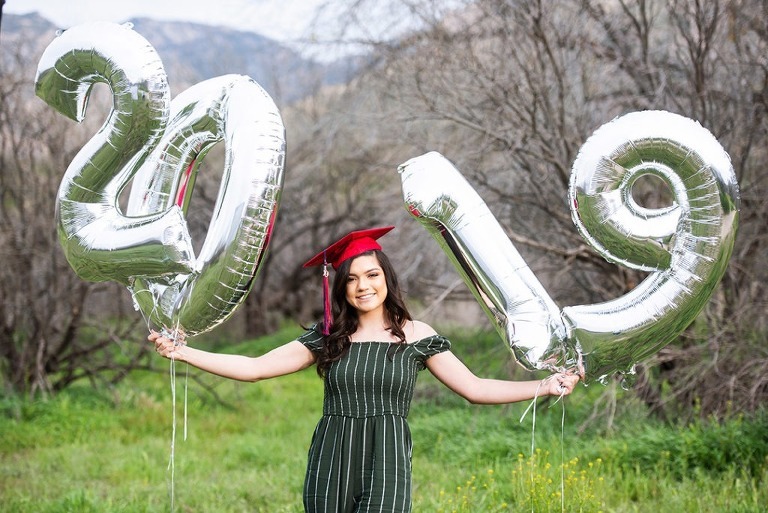 For more fun ideas for senior pictures with balloons, check out this link!